The opening concert for the 2019 New York Electronic Art Festival will feature artists Mario Diaz De Leon, Colin Marston, and Lea Bertucci. These experimental composers and sound artists are prolific members of our community performing contemporary pieces that reflect the diversity, intensity, and impact of our community of makers. 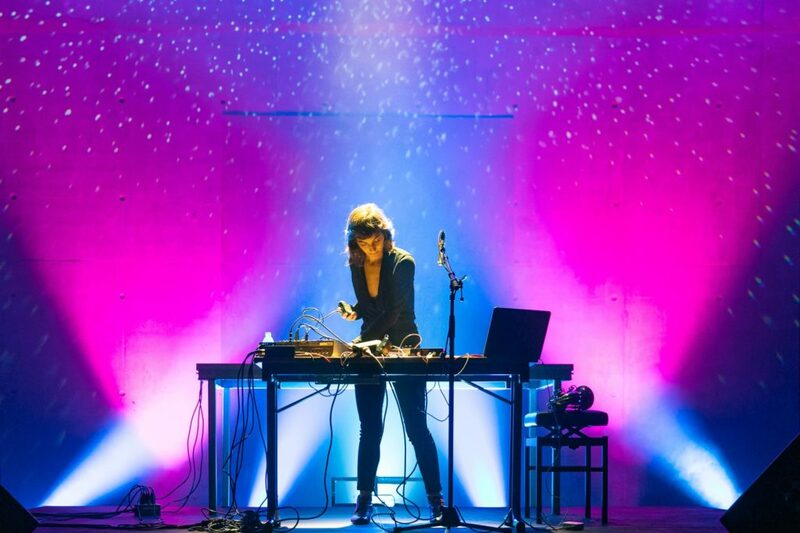 Lea Bertucci is a composer, performer and sound designer whose work describes relationships between acoustic phenomena and biological resonance. 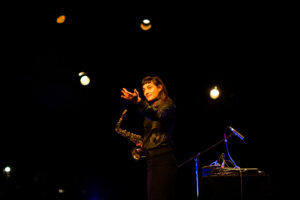 In addition to her performance practice with woodwind instruments, her work incorporates multi-channel speaker arrays, electroacoustic feedback, extended instrumental technique and tape collage. In recent years, her projects have expanded toward site-responsive and site-specific sonic investigations of architecture. Deeply experimental, her work is unafraid to subvert musical expectation. Her discography includes a number of solo and collaborative releases on independent labels and in 2018, she released the critically acclaimed Metal Aether on NNA tapes. Lea is co-editor of the multi-volume artists book The Tonebook, a survey of graphic scores by contemporary composers, published on Inpatient Press. As a solo artist, she has performed extensively across the US and Europe with presenters such as PS1 MoMA, Blank Forms, Pioneer Works, The Kitchen, The Walker Museum, ISSUE Project Room, Caramoor, The Renaissance Society, Chicago, Sound of Stockholm Festival, and Unsound Festival, Krakow. She is a 2016 MacDowell Fellow in composition. In 2018, she received commissions from The American Composers’ Forum, Brukenmusik 24 in Koln, and the Levy Gorvy Gallery in New York.